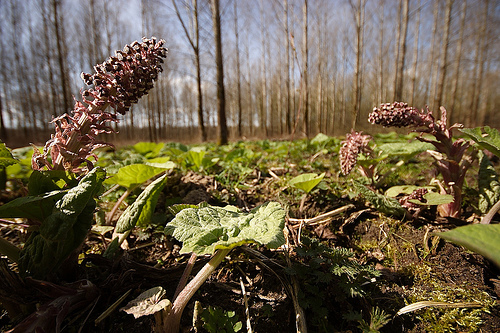 Blooming Common Butterbur This plant blooms early in spring when its leaves are quite small. The dunes at Oostvoorne with a blue sky in the back. Frozen reeds in ice field. 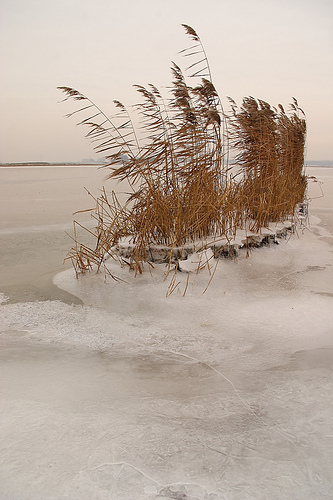 Tidal movements caused the ice to be caught in the reeds. Dead tree still standing. 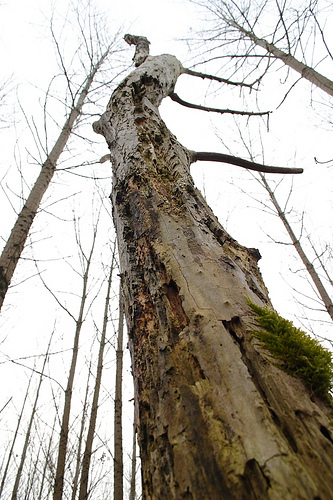 This dead tree that was attacked by woodpeckers.